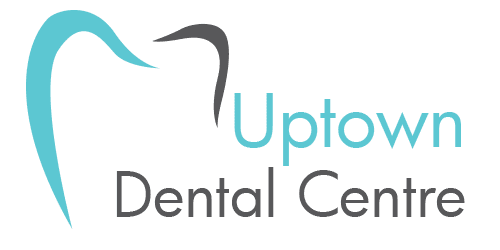 Experiencing a dental emergency in Edmonton? We know there can be some confusion around what constitutes a dental emergency. If you, or one of your children, has experienced an unexpected mouth trauma of any type we always recommend giving us a call. 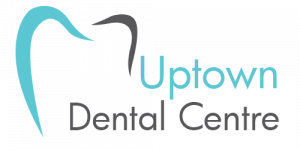 Our professional team can help you determine how soon the patient should be seen by their dentist. If your child has sustained a dental injury, remember to stay calm and always be reassuring. Depending on the type of dental injury, there are a few things to keep in mind when you or a family member has experienced an injury to the mouth: stop any bleeding by applying pressure, make sure the injured patient is safe, and make arrangements to see a dentist as soon as possible. If You Have A Dental Emergency Call 780-428-7521. When suffering from a persistent toothache, rinsing the mouth with warm water can help reduce the pain for a short period of time. Be sure not to use cold water! Gently use dental floss to remove any food or debris that may be trapped between the aching tooth and its neighbor. If there is some swelling, use cold compresses on the outside of the cheek for a few minutes at a time. Let us bust a common myth, DO NOT use heat or place an aspirin on an aching tooth or gum tissue; both increase the chances of bleeding. See your dentist as soon as possible. Biting down on hard foods or an impact to a tooth during a fall or a sporting activity can result in a crack. Sometimes it can be hard to tell if a tooth has been cracked. Rinse your mouth well with warm water to clean any dirt or debris from the injured area. Use direct pressure with a clean cloth to stop any bleeding and use cold compresses on the outside of the mouth to reduce any swelling around the injured tooth. See your dentist immediately if you see or suspect a cracked tooth. Debris and bacteria can enter the tooth at the injury site and cause complications if not treated immediately. If food or debris has become wedged between your teeth and swishing vigorously with warm water has not dislodged it, try using dental floss to gently remove the object. Be very careful when using floss to remove debris, applying too much pressure can result in a slip and cutting your gums which causes pain and bleeding. If you are unable to remove the object yourself, call us and make an appointment to see your dentist as soon as possible. Never try to remove objects stuck between teeth with a sharp or pointed instrument, of any type. Lacerations of the gums, lips or tongue often result in bleeding that can usually be stopped with direct pressure to the injury with a clean cloth. Once the bleeding has been stopped, cold compresses on the outside of the mouth over the injured area can reduce swelling. If you are concerned that stitches or treatment may be needed, be seen by your dentist immediately. Go directly to a hospital emergency room if the patient is suffering severe bleeding or the bleeding continues and cannot be stopped. Likely the most obvious of all dental emergencies, having a tooth knocked out can be very traumatic for a patient. If you can find the tooth, gently rinse it in warm water being careful not to touch the root area and cause any further damage. Place the tooth in a container with milk, saline solution (salt water) or even saliva and bring the tooth with you to see your dentist immediately. Plain water will do if nothing else is handy. If possible, rinsing and placing the tooth back into place in the mouth can help preserve the tooth and increase chances of a successful tooth reinsertion. In some cases, a knocked out tooth can be reinserted and reattach itself in the jaw, so timing and handling of the tooth is important.